Reconnecting to Facebook may fix the issue. Plusbac Feed is a highly effective liquid fermented herb feed supplement made from the fermentation of specific organic herbs, molasses, water, lactic acid bacteria and photosynthetic bacteria. It is important to understand that as Plusbac Feed is a liquid, with probiotic bacteria, it is likely to be more effective than any powdered or other dry probiotic as the bacteria co-habit and thrive within their wet commensal suspension. Plubac Feed can improve digestion by increasing beneficial microorganisms in the saliva and gut, which in turn improves wellbeing, general health and condition. Plusbac Feed should be added directly to the feed or water. The microorganisms are generally inactive at rest and so can be stored in the right conditions for a significant period of time. Improves digestion (more beneficial microorganisms in the saliva and gut). Helps enhance appetite and weight by maintaining balanced nutrient production and absorption within the gut. Optimises well being, general condition and temperament as a positive colonic flore produces vitamins and enzymes. Plusbac Feed can be added to either feed, water or orally on a daily basis. When adding to feed the liquid must be properly mixed. 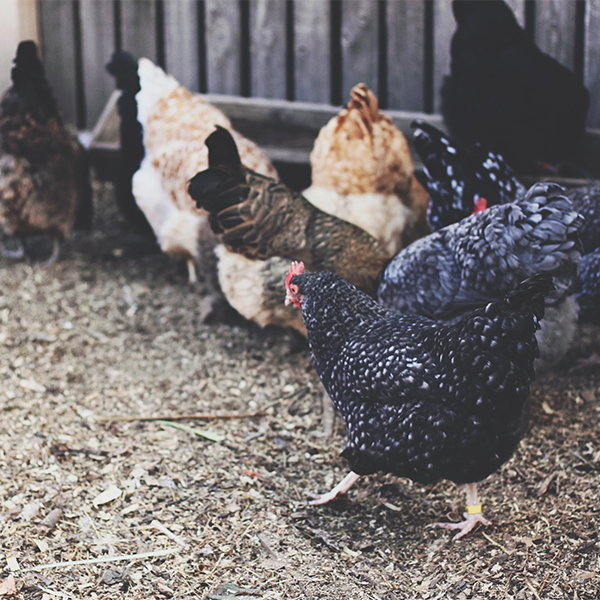 Plusbac Feed improved the condition of our barn chickens instantaneously. The birds looked better with immediate gain in feather as well as weight. What was also interesting was that there was less pecking at each other. Eggs improved in condition and numbers as well. I would not hesitate to recommend using Plusbac microbes.